When someone you love is suddenly torn from you or when you lose something you care about, you will experience a myriad of difficult emotions and it is natural to feel that the pain and sadness will never subside. There is no right way to grieve and mourn but there are healthy ways to cope with the pain of loss, to help you integrate loss and in time move forward. But if this grief and mourning is not acknowledged and processed, depression may be your enemy that you won’t be able to lead and control. Grief is a natural response to loss. It is emotional suffering you feel when someone or something you love is taken away. Feelings of loss revolve around the power of attachment. The more you are attached to someone or something that has been taken away the more pain you will experience. So, if you love hard, you will grieve hard. Losing a loved one may cause the most intense grief but any loss can cause grief, including loss of a pet, relationship, job, health, home, and any other loss that is unique to you as an individual. There are many common emotions of grief that can be overwhelming and scary at times: shock and disbelief, sadness, guilt, anger, fear, and physical symptoms such as fatigue, nausea, weight loss or weight gain, aches and pains, insomnia and low immunity, to name a few. There is no time frame for these feelings but if you fight them and internalize them then you may experience depression. I tell my clients we have to treat grief like our friend. Take grief’s hand in yours and don’t fight or suppress these feelings. If you don’t release them there is the danger of complicated grief or depression. George Engel, a famous psychiatrist, said “Grief is not a disease but can become one”. Grief and depression may share characteristics. 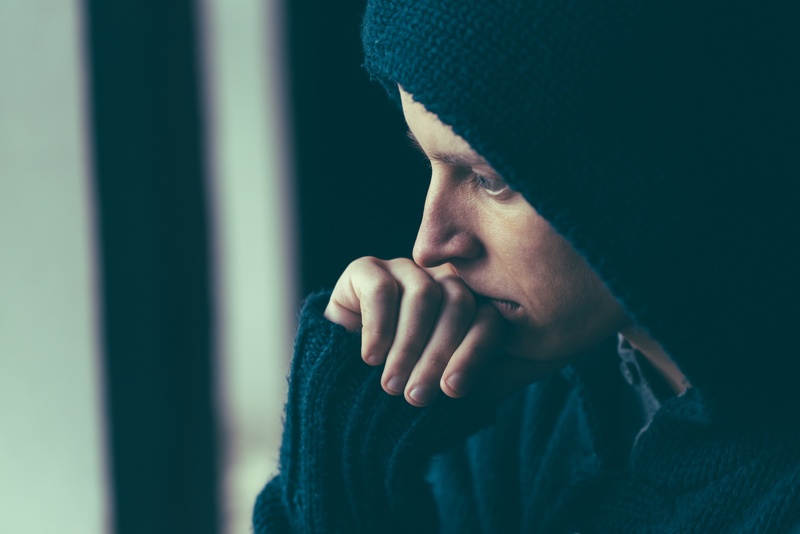 The key differences are that the bereaved maintains self- esteem and connection with family and friends, while people suffering from depression tend to be isolated and feel disconnected from others and may shun or avoid support. With grief, you will have the ability to experience moments of happiness. I enjoyed funny movies; in fact sought out funny movies to take a grief break. I scheduled monthly dinners with my girlfriends. I enjoyed sitting at the lake enjoying a sunset and I loved going to greenhouses to view the beautiful flowers and shrubs to give me a lift in spirits. Even when I went through intense suffering, I thoroughly enjoyed small pleasures. Grief is our normal reaction to loss, but when the feelings consume you, leaving you feeling hopeless, helpless and worthless, you may be experiencing depression. In depression sadness is constant and hard to control or deal with. In grief painful recollections of loved ones are interspersed with positive thoughts and memories. Suicidal tendencies are rarely present, though the bereaved may fantasize about joining or re-uniting with their loved one. In depression, feelings of worthlessness, lack of self-confidence and inadequacy are common, along with suicidal thoughts, severe sleep disturbances, marked agitation and complete loss of vitality. Personality styles also play a part in depression. Those whose outlook is generally more negative may be at greater risk. How we are socialized in our family of origin and how grief and mourning was normalized play a role as well. We live in a mourning-avoidant society. Avoiding emotion and avoiding the mourning process, compulsive behaviors, minimizing feelings, overwork, over use of alcohol, drugs, or other substances can all retard the grieving process. Grief work is the hardest work I ever had to do. Your spouse, children and friends can’t do your grief work and you can’t do theirs. We can never get over our losses, but we can learn to live with them and integrate them into the fabric of our lives. We have to have the courage to do the work of mourning, and that takes strength and perseverance too. If you are willing to grow and learn through loss you will come out the other side blessed with compassion, health, and most definitely living a life with purpose and meaning. You have to embrace the pain to get the gain and then depression will not hold you in its tight grip. You have resilience. Seek it and yell “victory”. This post was originally published in Threads newsletter, Fall 2014. Have you experienced depression as a result of loss? How have you coped? Share your thoughts in the comments are below. My only brother and sister died last year. I have lived with depression for most of my adult life. I have been sinking into that dark hole for the last month AGAIN and have no strength to climb out. Every morning I say to myself “this is going to be a good day and I will do better” but I cant. Thank you for your writtings, they do help just reading them. I’m so sorry for the loss of your brother and sister, Cathy. That’s a lot of deep, painful loss to experience in a single year. I agree that reading others’ words about their experiences with grief and depression help — it helps us to feel less alone, and sometimes even helps us to explain how it is that we’re feeling. There’s no shame in asking for help — especially if you feel your grief is tipping over into depression as Audrey writes about above. You’ve been through so much, and the pain can be crushing. Sometimes we just can’t crawl out on our own. Have you tried calling a crisis line? This seems to be a pretty thorough list of available options: http://www.yourlifecounts.org/need-help/crisis-lines.